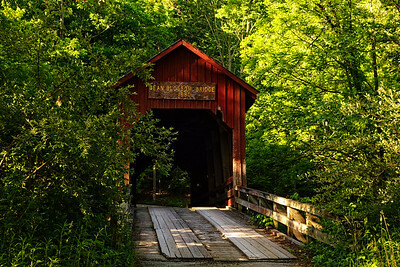 The Moscow Covered Bridge is a covered bridge of Burr Arch construction, 334 feet (102 m) long in two spans over Big Flat Rock River in Moscow, Indiana, a small unincorporated town in Rush County, Indiana. 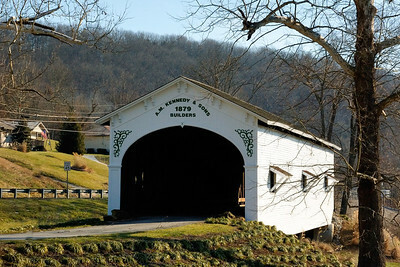 It is the third longest covered bridge in the state. 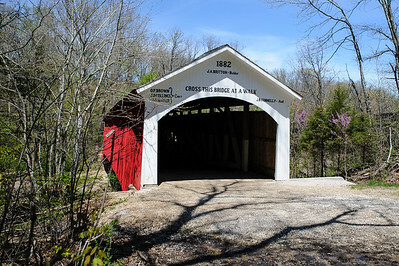 It was listed on the U.S. National Register of Historic Places in 1983. 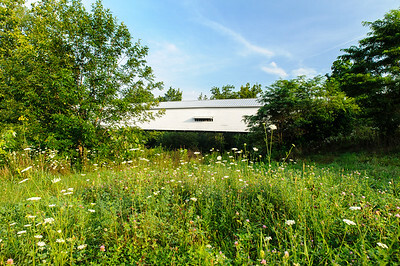 The bridge was destroyed in a 2008 tornado and rebuilt in 2010. 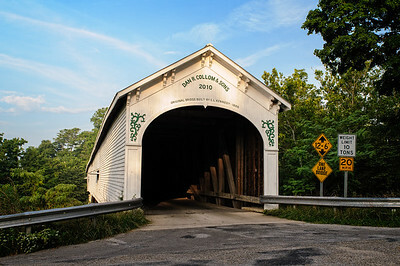 Owen County, Indiana The Cataract Falls Covered Bridge is a covered bridge that spans Mill Creek in the Lieber State Recreation Area, Owen County, Indiana, United States. 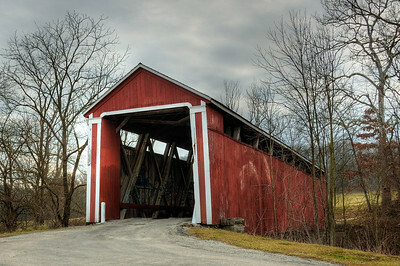 Built in 1876 by the Smith Bridge company of Toledo, Ohio, it was at one time one of the most famous and photographed covered bridges in the United States. 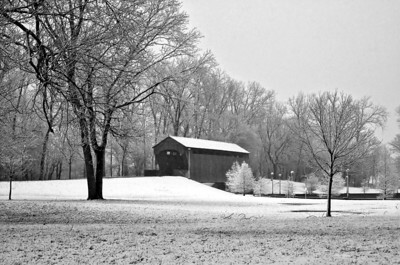 It is the only remaining one in Owen County. 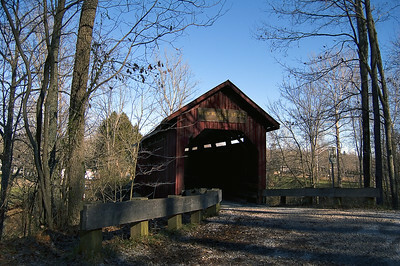 Since the road bypassed the bridge in 1988, it is only open to pedestrians. 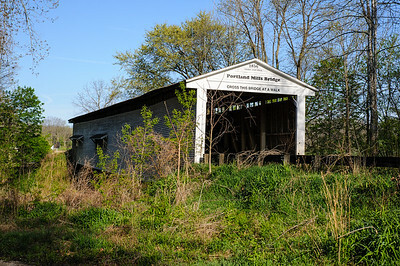 It was added to the National Register of Historic Places in 2005. Turkey Run State Park, Indiana The Narrows Covered Bridge crosses Sugar Creek at the eastern edge of Turkey Run State Park and is a single span Burr Arch Truss covered bridge structure that was built by Joseph A. Britton in 1882. 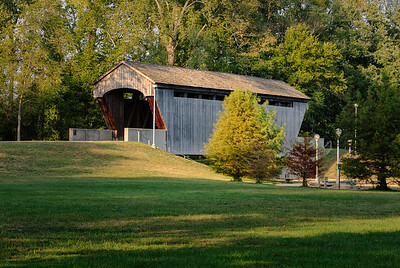 Parke County, Indiana The Portland Mills Covered Bridge is the second oldest covered bridge in Parke County, Indiana, being built the same year as the Crooks Covered Bridge. 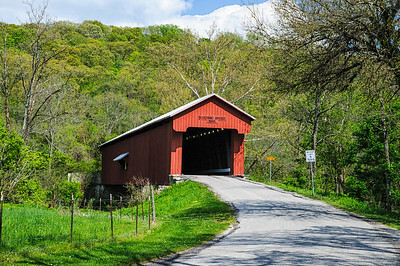 It is a single span Burr Arch Truss covered bridge that was built by Henry Wolf in 1856. 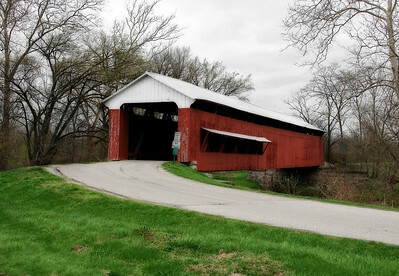 Located at the edge of Scipio, Indiana is a bright red covered bridge. 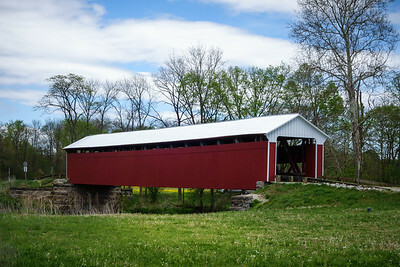 It is 156ft long, including the 4ft overhang on each end. 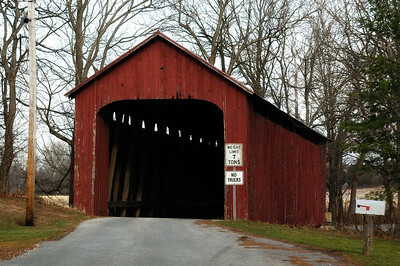 It was built in 1886 by the Smith Bridge Company and cost about $600. 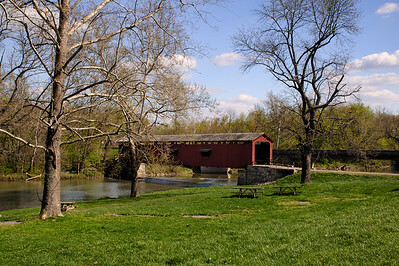 The original intent for the bridge was to be used for a railroad, but it never happened.